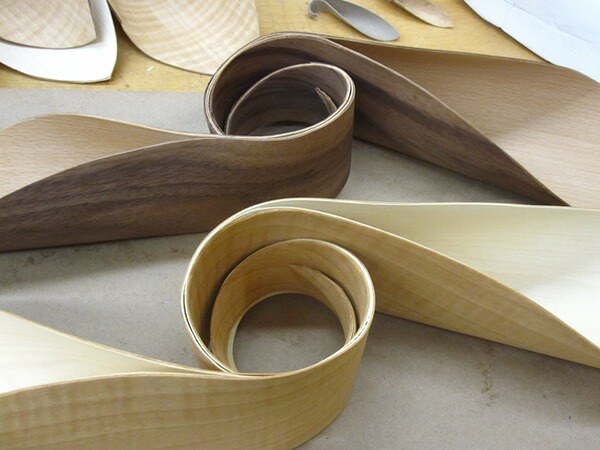 For the first project of the Bent Lamination course, we were given the task to create a modular system using the bent lamination technique. 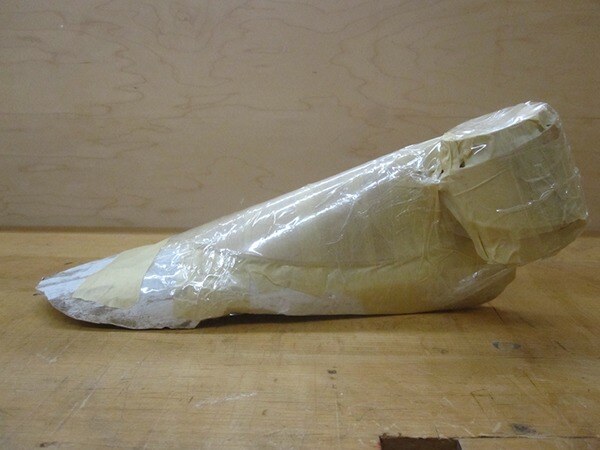 The first project served as an open exploration of the possibities with the process and materials. 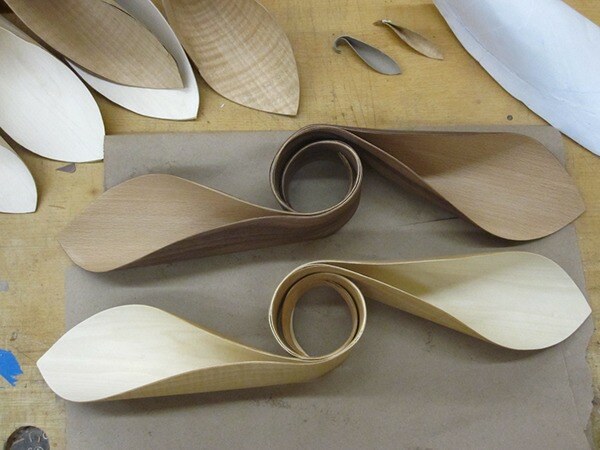 With this project, I came up with two leaf-like forms which are joined in the middle. 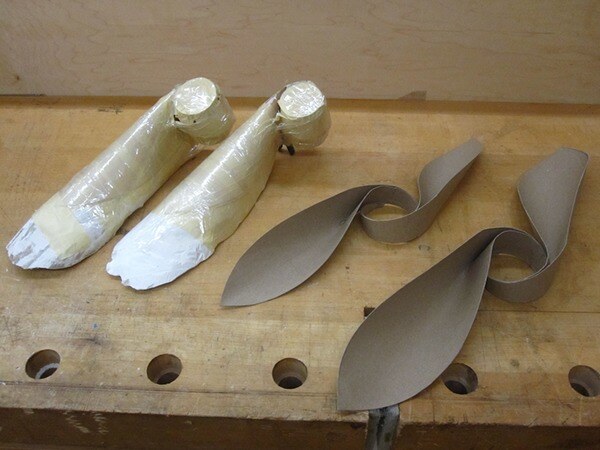 Two molds were cast out of plaster as well as two cylindrical forms made out of wood were used to create the final forms. 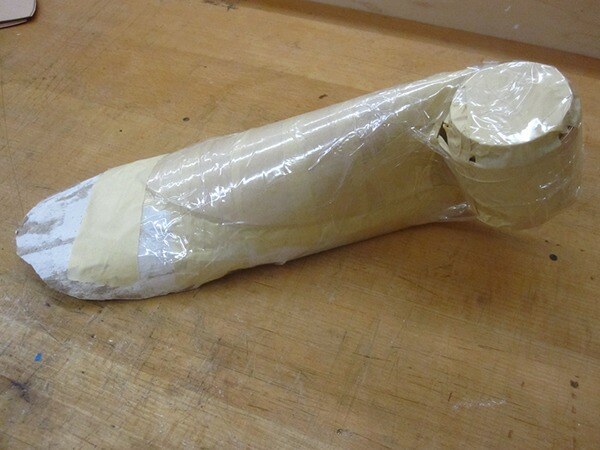 Tape was used as a clamp to hold down the pieces of veneer to the form of the mold. Below are images of the completed pairs as well as prototypes and process images of the assignment. Made during the Fall 2014 semester. 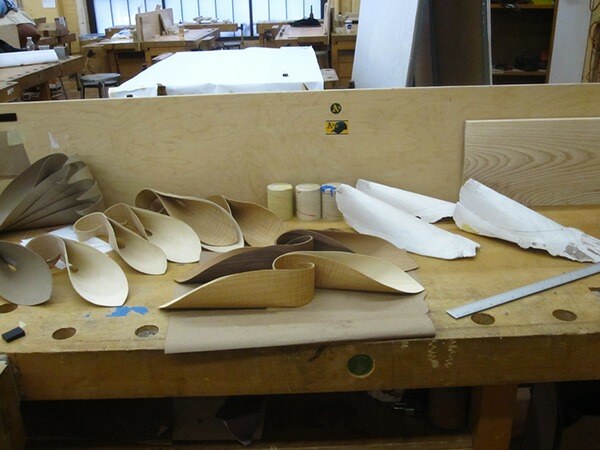 The forms were created using maple, anigre, walnut and beech veneers.